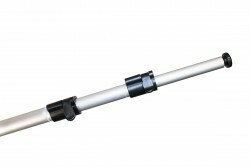 The Mercury Hybrid Pro iPad Stand is a combination of the Mercury retractable banner stand with an attached iPad stand. 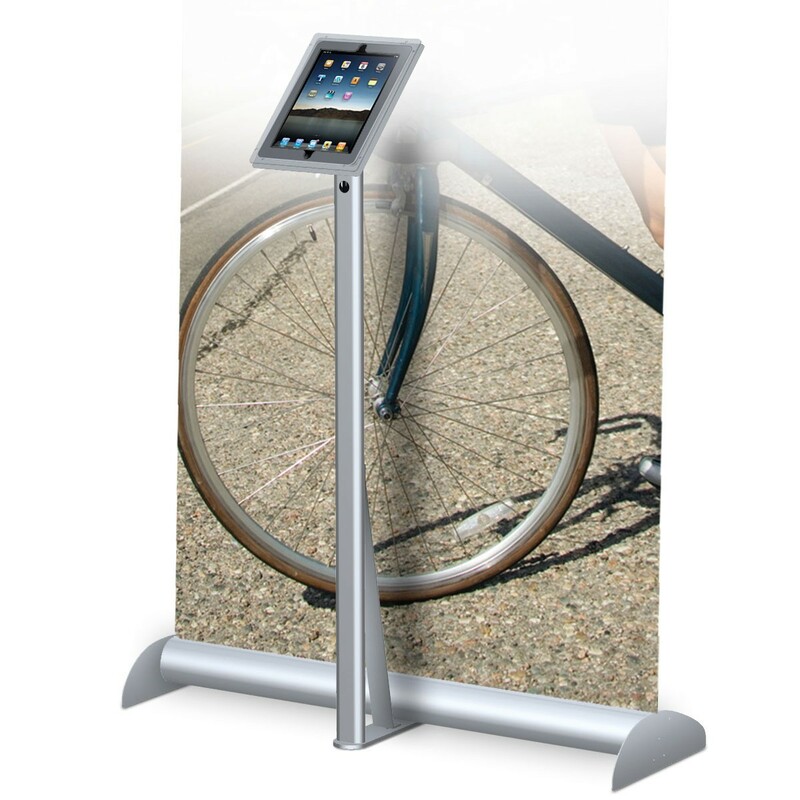 The Mercury Hybrid Pro iPad Stand 36 displays a banner with a visible size of 36" x 36-96". Click the Compare button to see our Retractable Banner Stand Comparison Chart, which shows the the features of all our retractable banner stand models on a single page for quick reference. The Mercury Hybrid Pro iPad Stand is a combination of the Mercury retractable banner stand with an attached iPad stand. 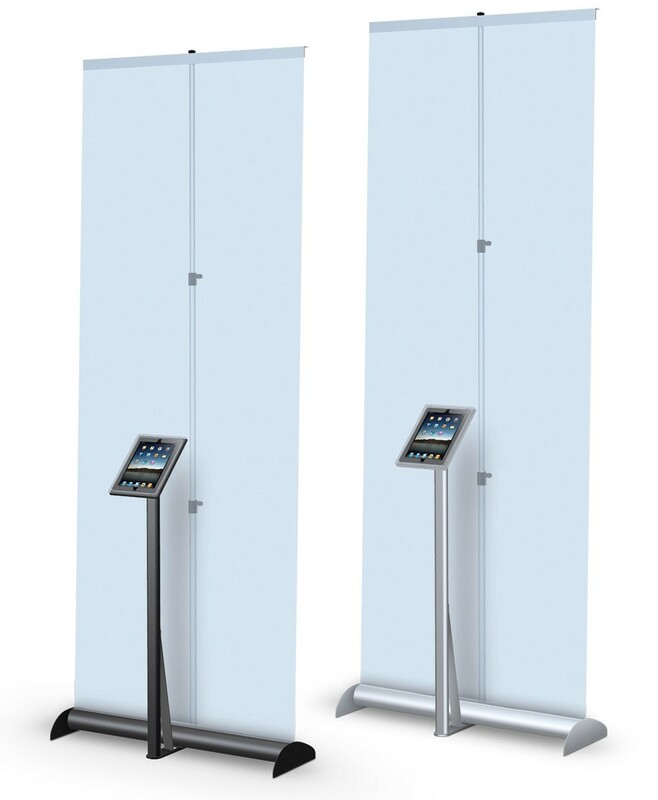 Made in the USA, this combination banner display and iPad display is unique and provides an opportunity to add an interactive element to you banner stand to turn it into a informational kiosk. The tablet holder attaches to the bottom of the banner stand base to present the iPad in front of the banner. It rotates from portrait to landscape orientations and includes a high impact acrylic cover with a metal back and anti-theft tamper proof screws. The included USB cable set runs from the display area through the upright support and to the base, where it can be connected to a power source without the cable being visible. The display comes in satin silver or mate black finish and is compatible with the iPad 2 or later, tablet not included. It is not compatible with the iPad 1 or the iPad mini. There are different versions for the iPad 2 and 3 and the iPad Air models, so select the appropriate iPad model you will use with the display when ordering. While the manufacturer offers a lifetime warranty on this stand that covers any manufacturing defects, like so many warranties these days, it doesn't necessarily mean what it sounds like. We try to help our customers make informed decisions by pointing out what the warranties actually cover, and in this case, the manufacturer feels that anything that breaks after a year isn't a manufacturing defect or it would have broken sooner. That doesn't mean that every failure outside of the first year won't be covered, but it's highly likely and that would mean there would be a charge to repair the stand, although the costs are generally reasonable. Because of this, we list the warranty on this product as 1 year, since it more accurately represents the actual coverage. Because this model is not stocked in our Utah warehouse, rush options are limited. We normally ship all retractable banner stands with the banner pre-installed, but in a rush situation, you can order the stand without a banner, and order a separate replacement banner to be shipped to you separately in less time. This will require you to install the banner in the stand yourself, but it will save you time and money if you aren't able to wait for normal turnaround and don't want to choose a different model. The instruction video shown on the Instructions tab will walk you through the banner installation process. You can also contact us to discuss other options for rush orders on this stand. Banner options shown are at the most popular height of 96", but other heights can be ordered by selecting the stand without a banner, then ordering a banner separately. Contact us if you need assistance with a different banner size. The Mercury Hybrid Pro iPad Stand comes in 2 different widths of 24" and 36". 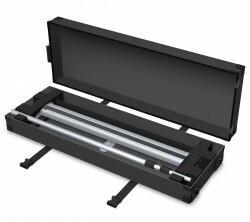 It ships in a carton unless ordered with the optional hard case kit. 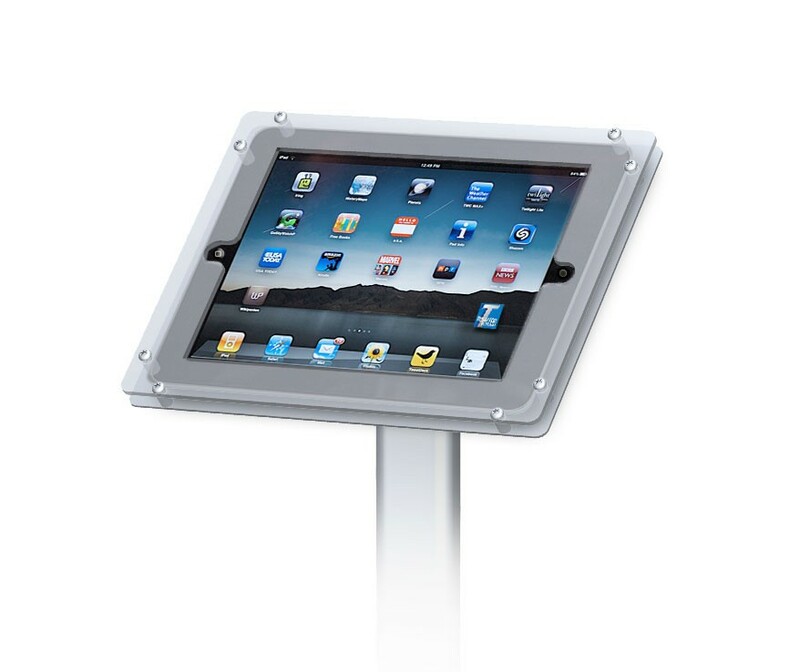 The Mercury Hybrid Pro iPad Stand 36 displays a banner with a visible size of 36" x 36-96". 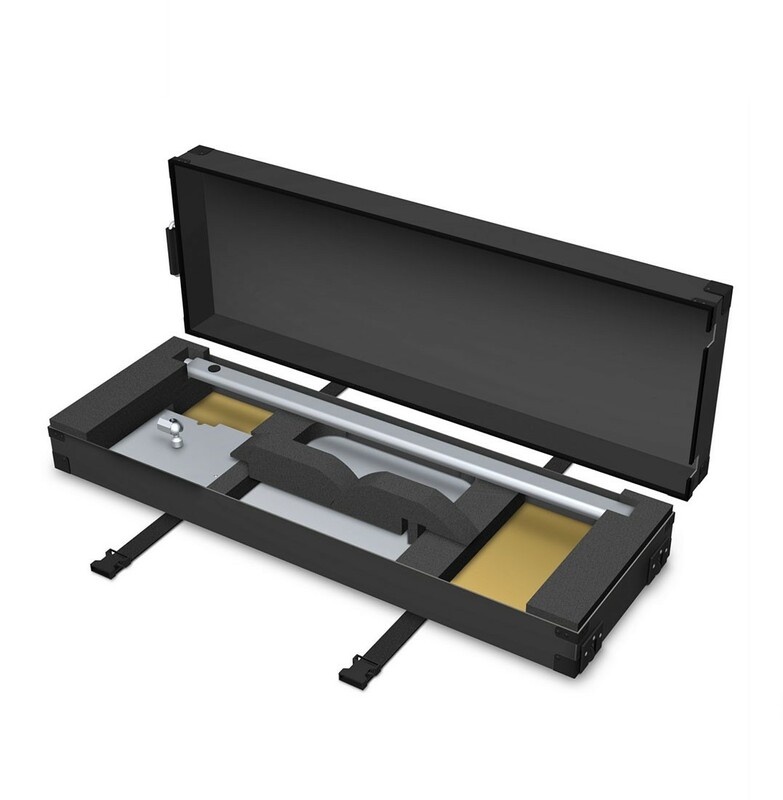 The Mercury Hard Shipping Case is our recommended option when a shipping case is needed, and it can be configured with the hard case by selecting that option when ordering, or it can be ordered separately from the Related Products tab. 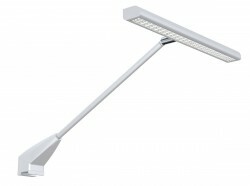 The Cascade LED Display Light is the recommended model for use with the Mercury Hybrid Pro iPad Stand 36. These can be found in the Related Products tab. 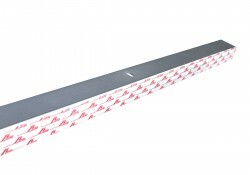 Overall display height: maximum 99"
Shipping size: 45" x 16" x 6"